In just a few short days, we’ll be heading into 2017, and if you’re like most people, you’ve probably been thinking about New Year’s Resolutions. While many resolutions will likely be broken by the end of January, we think now is the time to resolve to take better care of yourself, your family and your home in the New Year. One of the many ways to take better care of your home is by giving your plumbing system a bit more attention than in years past. Here are a few easy-to-keep plumbing resolutions for the New Year. Not everything from your plate belongs in the garbage disposal. Things like bones, fats and fibrous foods like celery and banana peels shouldn’t go in your garbage disposal. Also, remember to rinse the disposal with water after each use to prevent unpleasant odors in your home. Human waste and toilet paper are the only things that should be flushed down your toilet. Cotton swabs, wet wipes, hair, facial tissues and other others belong in the garbage can. Flushing these items can lead to serious clogs and other plumbing woes. Even small adjustments can have a huge impact on your daily water consumption. Did you know that just turning the water off while you’re brushing your teeth can save up to 3,000 gallons of water per year? In addition to reducing your impact on the environment, cutting back on your water usage will save you on your monthly bill. Most people don’t give their home’s plumbing system much thought unless there’s a problem. However, keeping up with maintenance is actually an excellent way to avoid many of those problems altogether. From routine drain cleaning and inspections to water heater maintenance, leak detection and more, there are several things your plumber can do to help keep your home’s plumbing system in tip-top shape. At G.T. Campbell Plumbing, we’re here to help! Whether you’re in need of a Macdeon plumber or you’re thinking about taking steps to prevent future issues, our plumbers do it all. 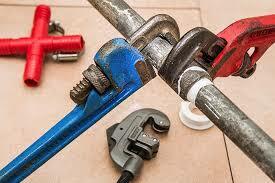 Contact us today for help with plumbing repair and plumbing maintenance in Macedon and the surrounding areas. Give us a call at 585-548-0004.